Do you like to make gifts for others? 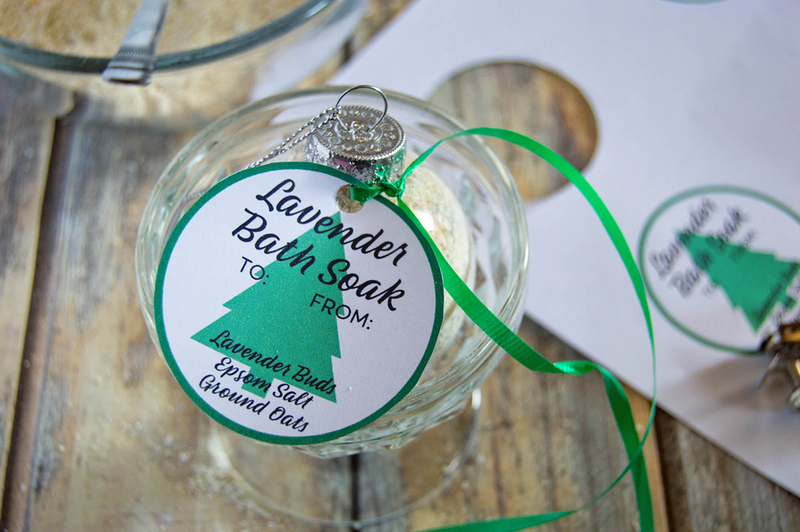 If you answered yes, these Lavender Bath Soak Ornaments with Printable Tags are the perfect relaxing gift! Every year I usually make some sort of gift for the ladies in my extended family. The reason, there is a lot of women in both mine and Steve’s extended families. I always like to give a little something to them, but if I were to purchase gifts I would be spending a lot of money! 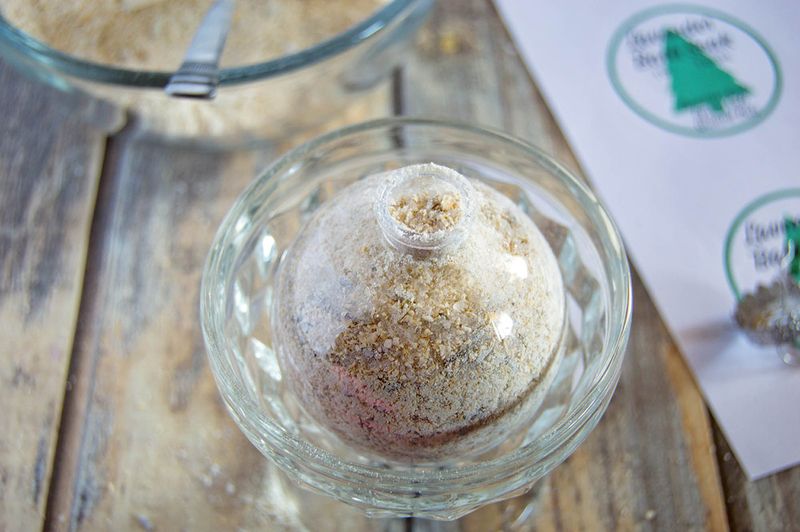 One year I made body scrubs, another I did bath bombs. 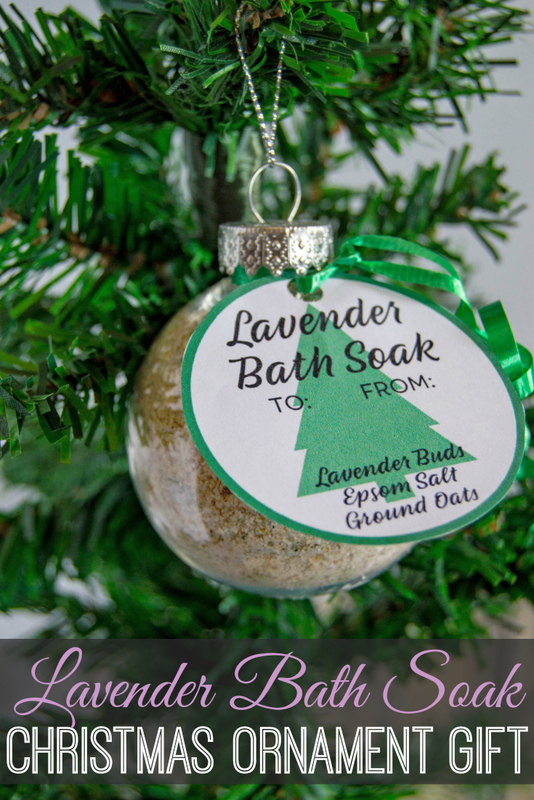 So, if you are looking for an affordable gift idea make these lavender bath soak ornaments this year! 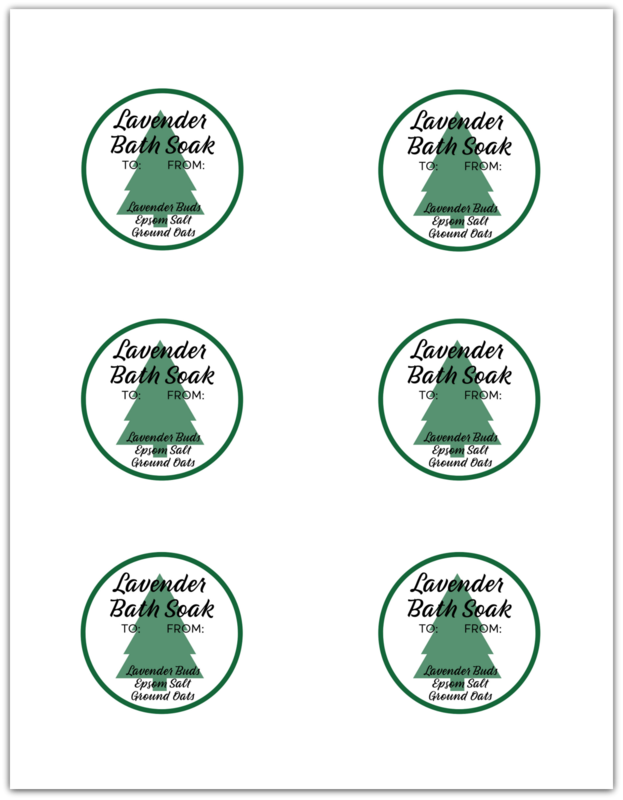 Print off your lavender bath soak ornament tags. 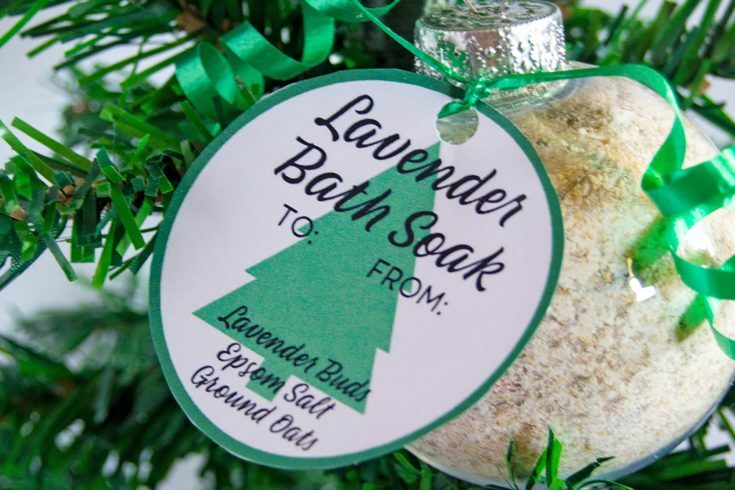 Make your lavender bath soak mix (recipe below). 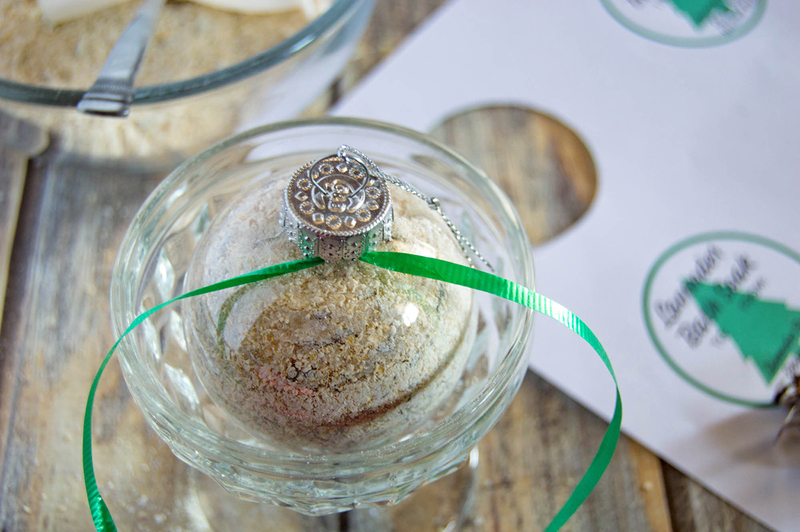 Take off the lids to your ornaments and place the ornament in a small dish to keep it steady. 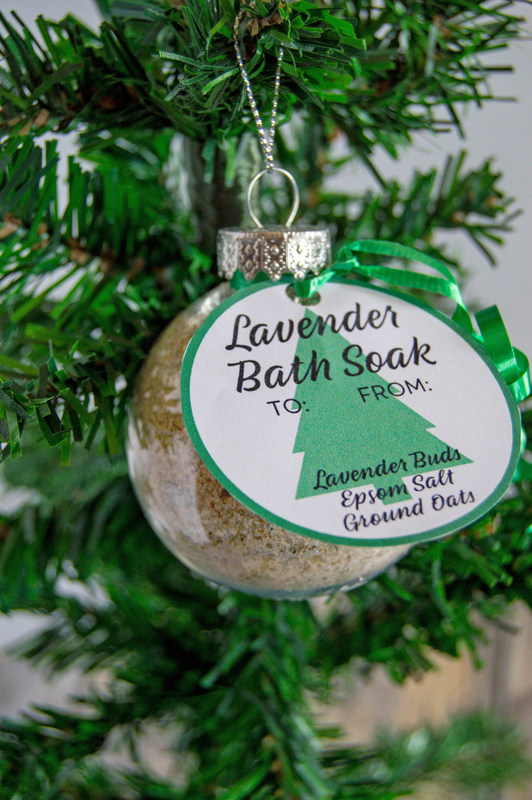 Use a small funnel to spoon the lavender bath soak into ornaments. Cut and punch a hole into your tags. Tie a ribbon around the opening. Put a little bit of hot glue on the edge of the top before placing it back on! Add a tag onto your ribbon. Curl your ribbon to finish it off! To use: Pour desired amount (a few tablespoons) into running bath water. 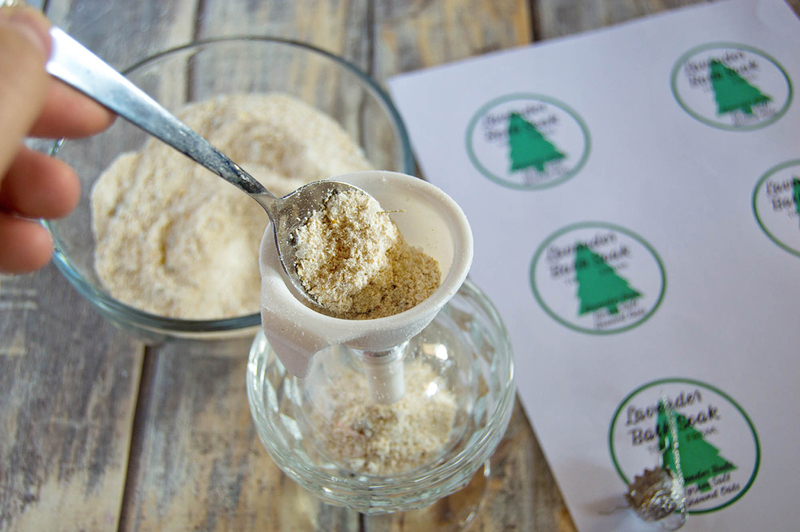 Using a coffee grinder or food processor, pulse oats until they turn into a fine powder. You may have to do this in small batches. Pour into a bowl and add in your Epsom salt. Put half of the lavender buds in the grinder or food processor and pulse for a few seconds. 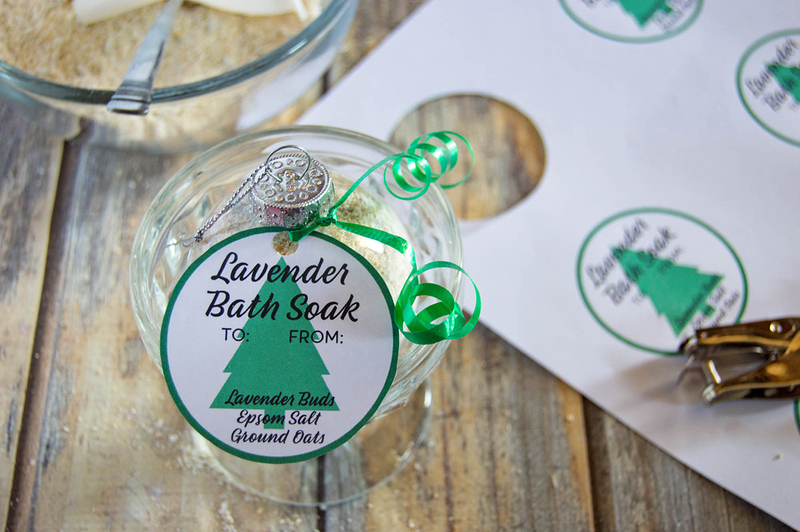 Add those as well as the other ½ of lavender buds to the bowl. 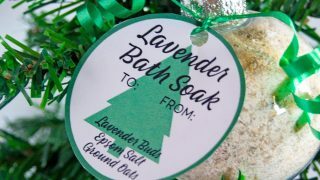 If using lavender essential oil instead of buds, add in a few drops. Mix well with a spoon to combine. Print, cut and punch a hole in the tags. Take off the top of the ornament. 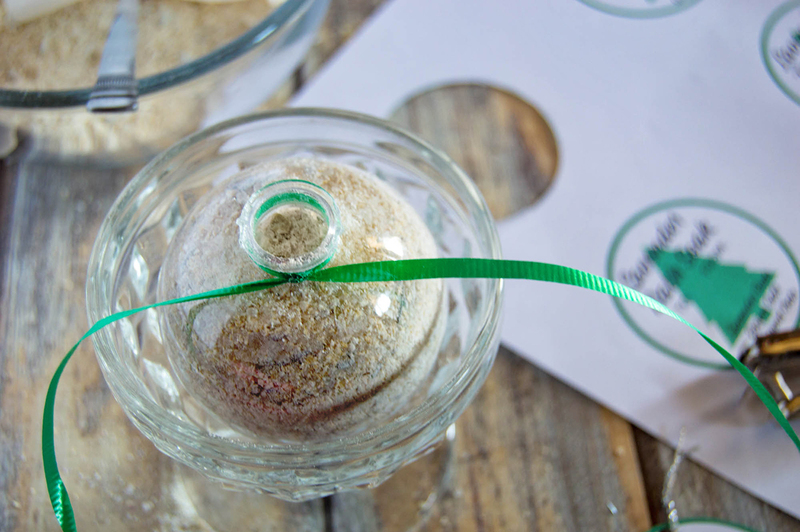 Place ornament in a small cup or container to keep it steady as you fill it. 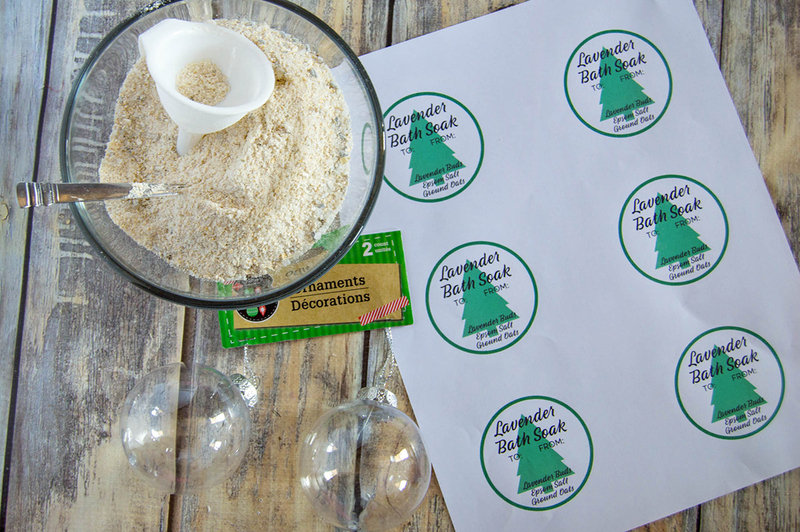 Use a small funnel to spoon bath soak into ornaments. Shake and tap as you go to make room, so you can get as much in there as you can. Add a little hot glue to the edge of the top before putting it back on, this will ensure the top stays on and will be easy enough for your recipient to take off. Attach a tag to the ribbon. These look awesome! Thanks for the idea! So cute! 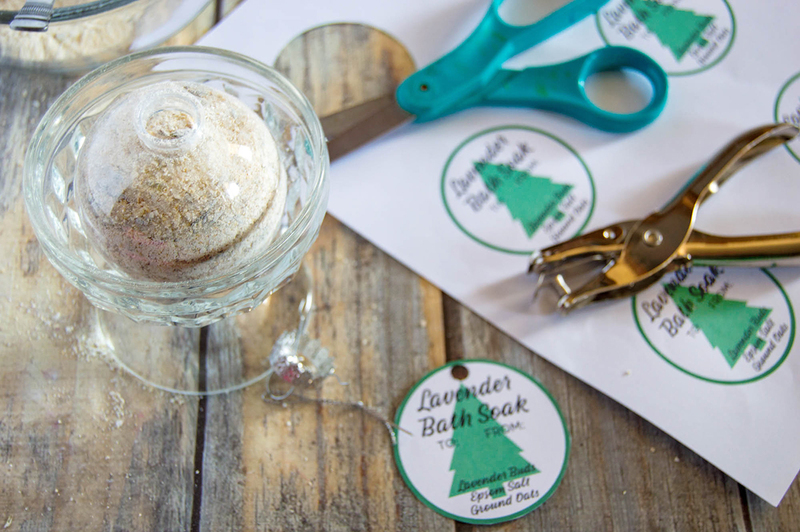 Love the idea of using a Christmas Ornament !